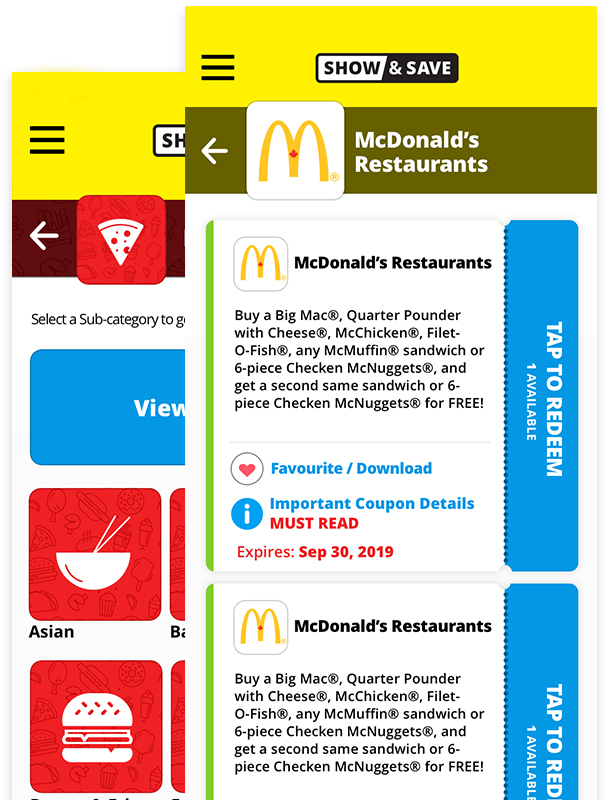 Show & Save now fits in your pocket! Follow the steps below to gain access to thousands of dollars of savings, discounts, and fun wherever you go. Step 1: Don’t have a 12 digit Activation Code? Before purchasing a subscription, you must have at least iOS 10 or Android 7 installed on your device. Upon purchase completion, your Activation Code will be sent directly to your email address. Step 2: Already have a 12 digit Activation Code? Download the App on your iPhone or Android device! You must have at least iOS 10 or Android 7 installed on your device. Step 3: Register with the Show & Save App to create an account! Simply open the menu in the App by tapping on the button in the top left. Open the “Enter Activation Code” screen and enter the 12 Digit Activation Code you purchased or received. Then follow the instructions to activate your subscription. 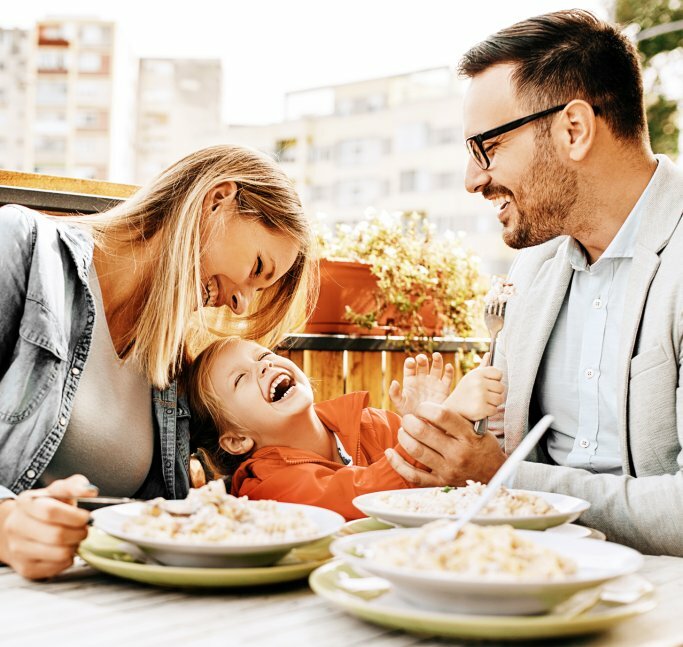 Purchase a subscription today for yourself, a friend or family member and gain immediate access to all of the amazing benefits and thousands of dollars in savings on the Show & Save App! Purchase a subscription today and let the savings begin! 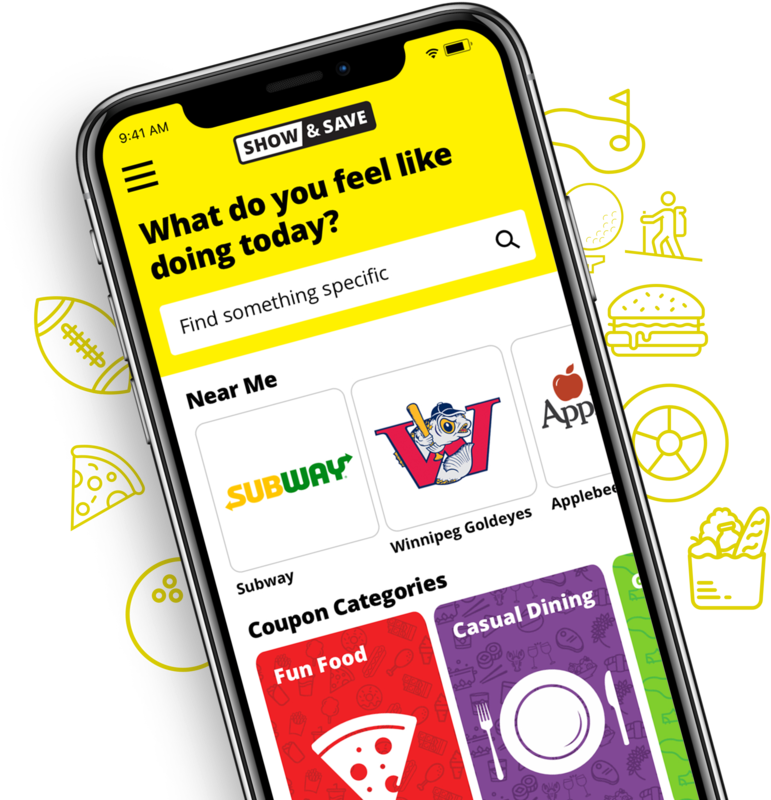 By purchasing a subscription to Show & Save, you unlock thousands of dollars in savings on everything from casual dining, fast food, and groceries to entertainment, golf, merchandise, and services! Not ready, download the Show & Save App and browse the coupon offers first. You can also view participating businesses here. A great way to raise money for your school, group, or club! We're happy to help your school, daycare, sports team and not-for-profit. 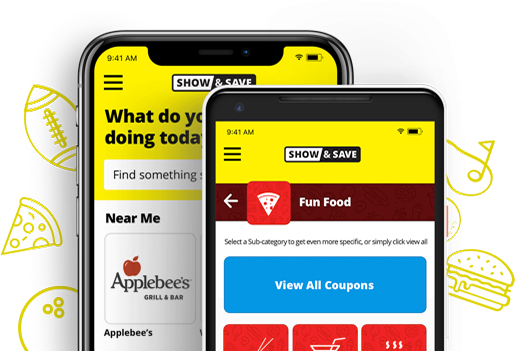 Show & Save continues to be a tremendous option for fundraising. Get your name out there, and get customers in the door! Advertising with Show & Save is an exciting and effective way to increase traffic to your business. Why do advertisers see such great results? 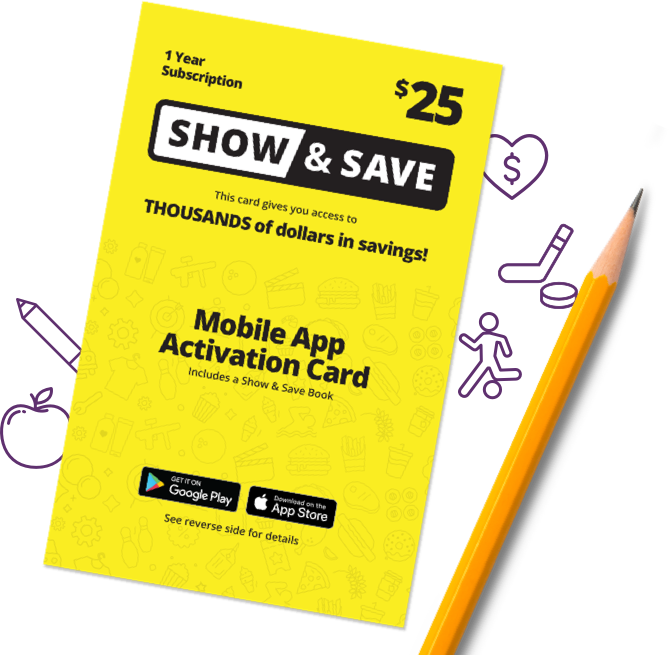 Learn more about Show & Save! Show & Save has been helping people save money, and organizations raise it, since 1991. Everyone knows Show & Save – it’s widely recognized and appreciated for its work for, and with, the community. 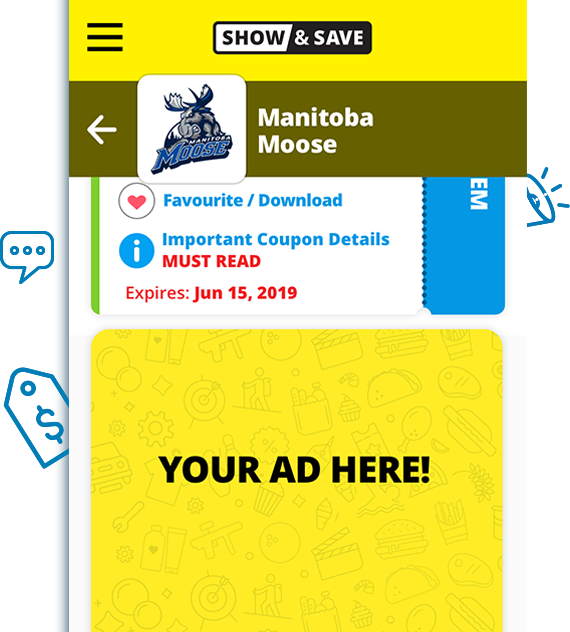 Thousands of Manitobans have taken advantage of this great product and program, and Show & Save is more popular now than it has ever been! Then you need Study Break. Stay up to date about new businesses and App features. You can unsubscribe at anytime, and we will never share your email address. Yes, please keep me informed by email of news that may be of interest to me. I may withdraw my consent at any time. If you would like to unsubscribe from email, please click here.